Marlin Court is a coastal contemporary home in one of Marco's most desirable south end neighborhoods walking distance to the beach. The open floor plan is decked out in a cool white and gray palate with pops of color and encompasses two large living areas with HDTVs, a dining room overlooking the lanai and a beautiful open kitchen with breakfast bar. Three bedrooms and two oversized designer baths accommodate 6-8 guests comfortably. Outside, the screened lanai provides the outdoor island living experience you're looking for! Dining for 6, a comfortable sitting area and chaise lounges surround the heated pool and hot tub overlooking the water. The dock is available for use and the boat lift is available upon request. We charge a small additional fee for use of the lift - $75 per booking. Note in your booking request that you would like use of the lift and we'll make sure it is available for you! To top it off, Marlin Court is equipped with all the amenities you want for a perfect beach vacation! Inside, you'll be in utmost comfort sleeping on new (2016) beds with high thread count sheets. Plush white towels in the bathrooms and beach towels for the pool are provided and the kitchen is fully stocked with high quality cookware and dinnerware for enjoying meals at home. High speed WiFi and HD cable service is, of course, included (if you must stay connected!). For fun, there are bikes and beach gear stored in the garage to make the quick walk or ride over to South Marco Beach! *This home is selectively dog friendly, with approval. Please include your request to bring a a dog in your inquiry! Additional pet fees will apply. 2 couples stayed here, was nice being the 2 bedrooms were at opposite sides of the home, allowing privacy. Only thing I will say is the beds were too hard for all of us ,but others may prefer. Pool and hot tub were enjoyable. Bikes were provided, as most anything else you would need, and we rode to the beach daily on mostly back roads with limited traffic. Several restaurants close, we even Ubered a few times so we could enjoy a cocktail with dinner. Some nice happy hours locally. The guys fished off the dock with the poles that were provided, they ended up with a few catfish that they released. Holiday Life was great to deal with if you needed anything or any questions. Thank you, Linda! 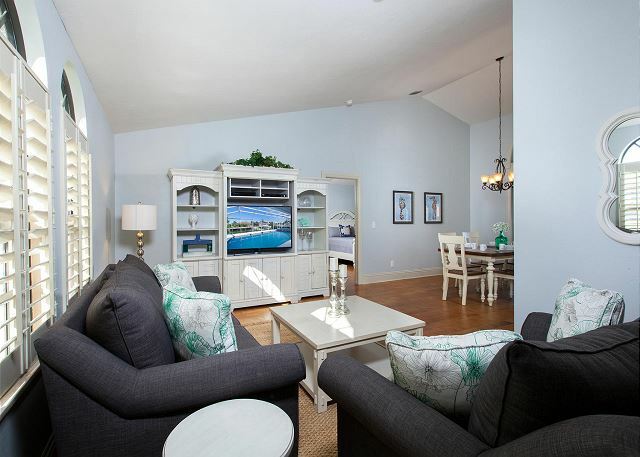 The layout of Marlin Ct. is perfect for 2 couples- plenty of privacy! We're so glad that you put the bikes and fishing poles to good use! Sounds like you all had a wonderful vacation to Marco Island. Hope to host you again in the future! We opened the front door on arrival at the villa to read a note on a chalk board in the entrance which read Welcome to Paradise. That describes it best excellent location very clean villa well furnished,paradise. Thank you, Nigel! We're so happy that you had a wonderful vacation in paradise! We hope to have the opportunity to host you again in the future! My family and I had a great vacation at the Marlin Court house. The house is spacious and beautiful. My husband and son fished from the dock. Overall, we had a fantastic time. Thank you, Jannel! Hope they were able to catch a few fish during your time here! Looking forward to hosting you again in the future! I booked Marlin Ct. for our family of four for a week in June hoping the house would be as lovely in person as it was in photos. It was wonderful! Clean. Plenty of space. We had everything we needed for a great week. The pool and spa were spotless and we loved being able to swim whenever we liked. We spend more time outside on the screened in lanai than inside most days! And NO BUGS! Not one mosquito bite for the 4 of us. Beds were comfortable. Bathrooms were spotless. The kitchen was immaculate. Communication from property managers was timely and helpful, but not invasive. We'd book this property or others with The Holiday Life again in a heartbeat. Wow Melissa! Thank you so much! Sounds like you had a great vacation at Marlin Ct.! We strive to keep all of our properties in tip top condition and are thrilled when guests notice the hard work we put in. We would love the opportunity to host you and your family again next time you are in the area! Thank you, Alisha! 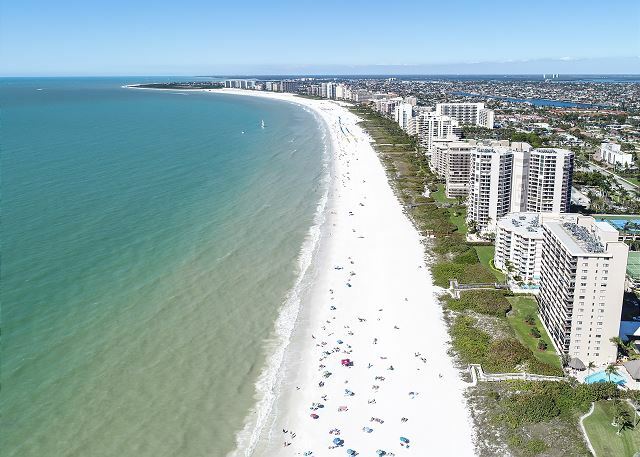 Sounds like you had a wonderful vacation to Marco Island! We can't wait to host you again! We loved the house, it is a nice size on a quiet street. The house is nicely updated and we loved the pool and hot tub we had a few issues when we arrived ( iron and vacuum didn’t work) but they were replaced right away. The pool remote is a pain in the neck to use, it’s too complicated for a rental property. Overall, we had a wonderful stay with perfect weather. We liked the proximity to Mackle Park since we walk every day. I would recommend this home. Thank you, Kathryn! We're glad you had a wonderful vacation! See you next time! The home was everything we hoped it would be. Clean, perfect distance from the beach and restaurants. The pool and hot tub was great and very clean and loved being on the canal. I didn't want to leave. The home had everything we needed. So happy that you had a great vacation, Juli! 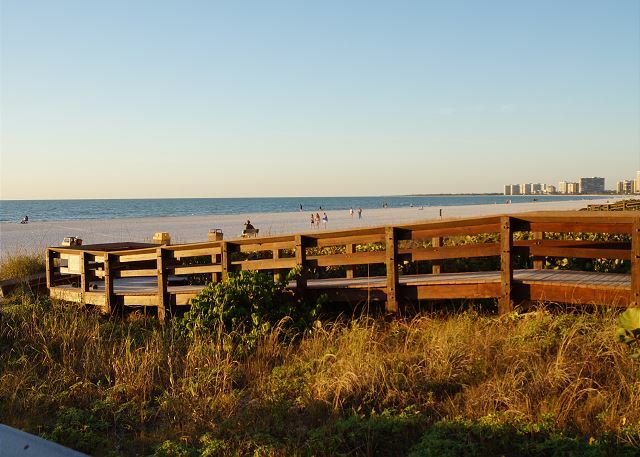 We would love to see you again next time you visit Southwest Florida! The vacation home was beautiful and spacious. Pool and hot tub was lots of fun. Location was great, close distance to plazas, grocery store and just a 2 minute drive to the beach. Only concern was the air conditioner would not cool under 77 degrees.. The Holiday Life staff were great, they responded the next day with assistance. Unfortunately the problem still insisted. 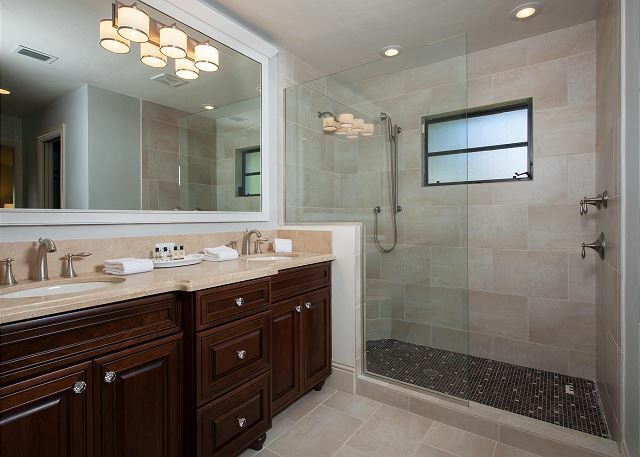 This is a beautiful home with a newly renovated kitchen and bathrooms. The location is wonderful! The home is located in a quiet neighborhood, but also a vey short bike ride to the beach (5 min.) or boat ride (10-15 no wake) to Caxambas Pass. A Publix grocery store, ice cream parlor, shops, and restaurants are also within a five minute drive. We brought our boat (used the lift) and enjoyed outings to Dickmans Point, the Dome Homes at Cape Romano, and fishing the surrounding mangrove islands. We also enjoyed using the pool, hot-tub and lanai! This home was immaculately clean, well maintained, and had high quality linens and towels. The management company was very responsive when we called about the water source at the dock. The dock spicket had been turned off for some maintenance work, so the management company purchased and hooked up an extra long hose to the side of the house so we could wash the salt off our boat and gear after outings. We highly recommend this home and would love to stay here again! The house looked better in real life than in the photos. It was very clean and everything looked brand new. We enjoyed the lanai, the pool, and the deck. We liked that it was close to the beach. The neighborhood was pretty quiet. The house was beautiful. Close enough to walk to the beach or close to paid parking lots. Enjoyed sitting in Lanai watching kids swim in the pool. The beach supplies were a wonderful addition. There is a boat dock directly behind property, we bought a couple of fishing poles and fished off of the dock. We left the poles so hopefully others can enjoy in the future. The kitchen was stocked with everything needed to have wonderful relaxing dinner at home. We enjoyed the home and the area. We will be returning. The house is beautiful and a perfect size for a family of six. Younger kids would probably enjoy it more than teenagers. Location was perfect, not too far from the beach, but away from the crowds. Amenities were great and the kitchen had pretty much everything you would need. 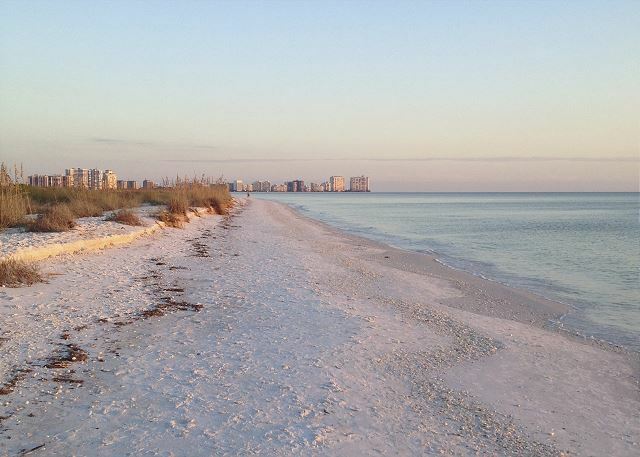 Marco Island is a little sleepy, but great for a quiet family get away! My family came to Marco Island mid March and had a wonderful time. This home has everything you need for a perfect vacation. The house is very clean and exactly as advertised. Actually far bigger than the photos. Bikes and cooler were great for runs to the beach and the location was perfect for us. The management company was extremely helpful and responsive. 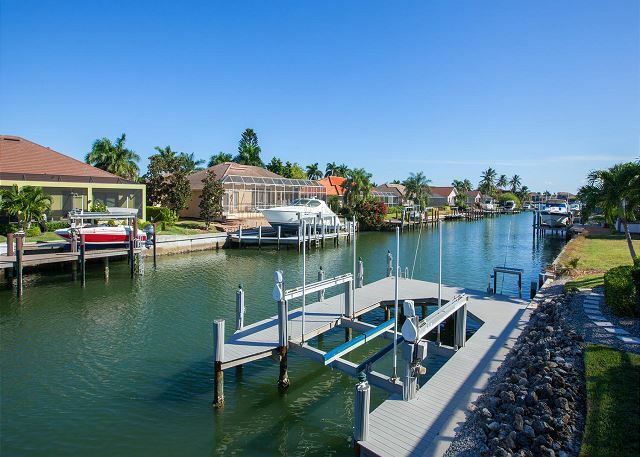 I would recommend this home to anyone who is interested in staying at Marco Island. Terrific house...Spotless, up-to-date, all appliances and supplies that one could ask for. We used the pool and hot tub every day. The property manager was easy to contact and very responsive. We were on a golf outing, and we found that all the courses we played were north of Marco Island, so we had a bit of driving to do each day. We didn't try the nearby beaches. Overall, it was a very successful vacation. Beautiful house. Very clean and beautifully furnished. Good location. Kelly and Casey were very professional and great to work with. Would definitely stay here again. Our stay was enjoyable and the weather cooperated fully during our stay.